Elizabeth E. Schuch's fantasy horror The Book of Birdie is coming to VOD in Canada and the US on October 2nd. This was Schuch's debut feature film after a career spent in numerous art departments including work on Wonder Woman and Pacific Rim Uprising. Her film won Best Film at the Stranger With My Face International Film Festival in Tasmania and Best Cinematography at the Brooklyn Horror Film Festival last year. We have a very short clip to share with you tonight. It has been a while since I have seen The Book of Birdie so I cannot recall the context in which this clip fits. To make up for its brevity I have also included the trailer as well. Introverted Birdie is sent to live in a quaint and isolated convent by her concerned grandmother, in an attempt to change her sobering outlook on life. But left to her own devices she develops a heightened obsession with blood, which seems all too willing to flow from her body, and reoccurring visions and hallucinations that pull her in every direction. Sometimes whimsical and sometimes gory, Birdie passively questions - is she a saint or is she cursed? 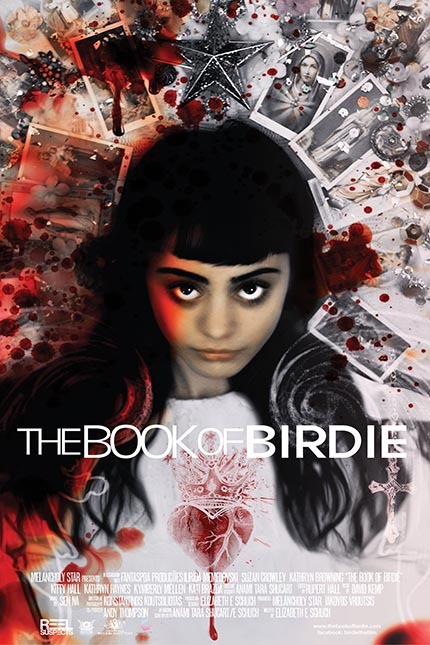 THE BOOK OF BIRDIE - Official First Look Trailer from Melancholy Star on Vimeo.